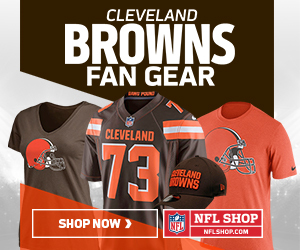 It has been announced today that Cleveland Browns rookie quarterback, DeShone Kizer will get the start for the teams third preseason game against the Tampa Bay Buccaneers in Tampa, Florida. The discussion for the whole of the preseason so far in Cleveland has been about which QB will be starting come week 1 of the regular season. Many, including myself, had assumed that the job was last year’s rookie, Cody Kessler’s to lose, but after a surprise offseason deal which saw the Houston Texans basically pay the Browns a 2nd round draft pick in 2018 to take a very underwhelming Brock Osweiler and his ridiculously high salary from them, a new competition was brewing. After much speculation about what the Browns would do with the first overall pick in the 2017 NFL draft, they went for consensus #1 Myles Garrett and not for QB Mitchell Trubisky, as some were saying. They were always going to take a QB in this draft but the question that was being asked after the Chicago Bears took Trubisky with the second overall pick, which seemed to spark a run on QB’s in the 1st round, was where the Browns would get their guy. It wasn’t far into the second round (52nd overall) when the team pounced and got the guy that fits everything Hue Jackson had been saying he wanted in a QB – size, arm strength and the ability to be coached. Kizer is 6’4″ and has already proven in the first two preseason games of his career that he’s got an arm that can get the ball downfield when needed. After poor showings in both preseason games so far, it’s absolutely no surprise that Osweiler isn’t starting now. He’s been given his chance and he’s looked very bad as far as I’m concerned. He’s looked ok passing short and medium but when he goes long his passes are far too inaccurate. When he is passing medium distances his passes are too high which is forcing his receivers to go up unnecessarily high to make the catch when a pass into the body should have been thrown without fear of an interception or breakup. With these bad passes, he has been exposing his wide receivers to the possibility of some vicious hits to unprotected torsos as they go up to make the catch. With throws like that, I find it difficult to believe that the veterans and coaches of the receiving unit have honestly been saying he’s the best guy to lead the team into the regular season as many reporters have been saying. I’m still hoping that a team comes in and offers a trade for Osweiler once the roster cuts start to kick in and teams realise they might actually need him. I personally think this is why Hue and the franchise have stuck by Brock and bigged him up as a great character and leader with the support of the locker room so as to give the impression that he’s actually got something to give a team. Who knows, maybe I’m wrong but I’d sure like to be a fly on the wall and see what the front office and coaches really think of him and what they’ve taken on for their $16 million this season. I absolutely agree that it’s time DeShone Kizer got the start as he’s been by far the best QB the team has on its roster right now. He’s been moving the offense well and scoring touchdowns through the air and on the ground. Yes, he’s made mistakes but he’s a rookie in preseason so, seriously, what do you expect. If he starts throughout the season I’m sure he will make more mistakes and learn from them. As Hue says, he works hard to improve himself so I’m sure he’ll learn from any and all mistakes he’s going to make. So, What’s the Ideal Scenario for Me? Ship Brock Osweiler out for any and all draft picks that you can get! Cleveland got what they wanted from the Texans with that 2018 2nd round draft pick so to get something more for him would have us fans lording Sashi Brown as some kind of business genius. Some Browns fans on social media have been having digs at Cody Kessler and saying he’s awful and should be binned by the Browns (they’re probably the same fans that have been calling for Colin Kaepernick to be given a starting job and calling for Blake Bortles to be let go – I bang on about the Bortles situation in my preseason week 2 roundup). I don’t understand this Kessler hate, he’s not actually that bad. Sure, he isn’t the most exciting QB to watch and he had a difficult time of it in 2016, but so did every other QB that had the misfortune to play for the Browns that year, whether they were a rookie or a veteran. If DeShone Kizer has a bit of a blip during these next two preseason games and Hue decides he doesn’t want him to start the regular season, then I say give the keys to Kessler until Kizer is ready. He’s not going to win you the Super Bowl but he can manage the game for the team and I think he’d get more wins than Osweiler would from what I’ve seen of him over the past season or so. Kessler’s biggest concern is with concussions which is a major factor in any assessment of a starter at any position. I’d go with Kevin Hogan at #3 as he looked ok as a makeshift QB when all else has failed and showed that he can get it done to a decent standard through the air and better than average standard on the ground after running for 104-yards and a TD on 7 carries against the Bengals last year. He’s shown himself as a decent read-option QB so the gameplan would probably have to change, but I think he’s a serviceable #3. So there we have it, things appear to be taking shape in Cleveland at the quarterback position. It should be interesting to see if Kizer actually is the man to start the regular season or whether he needs more time before being thrown to the wolves. “Roll on week 3 of preseason football!” I say.